Yet another Autowatch Ghost Immobiliser was supplied and fitted to this stunning Ford Focus RS, MK3 2016 Model today in South Yorkshire. There have been many occasions of the Focus RS going missing over recent months, both with and without the keys. Some have been as a result of burglary, owners suffering a car jacking or where cloned keys have been used. The high performance engine, stunning looks and Rally Sport pedigree of these future classic cars makes them incredibly desirable to thieves who will stop at nothing to go for a ride in your well earned Ford Focus RS. 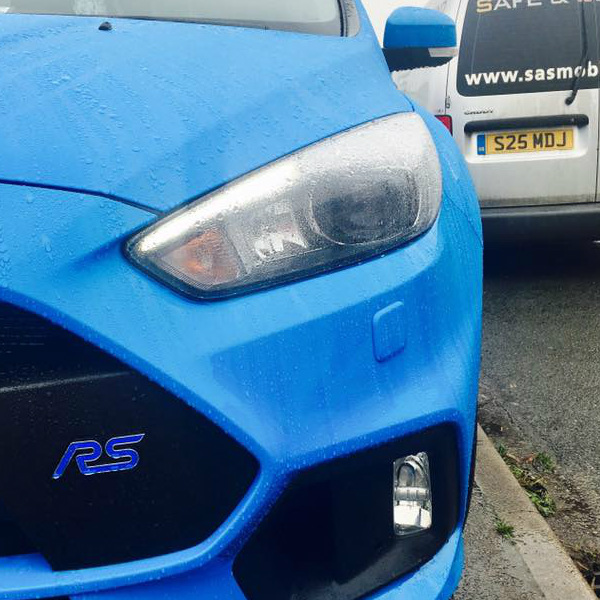 Installing and fitting an Autowatch Ghost Immobiliser is the perfect way to prevent the theft or your Focus RS by way of burglary or key cloning. The Immobiliser uses digital coding (CAN Bus) on your vehicle to prevent the engine starting, regardless of any key been present. To start the vehicle a user defined pin code must be entered via the Ford Focus RS factory installed buttons mounted on the steering wheel. Once the correct code is entered the vehicle can then be started and driven away. For those who don't fancy using the buttons to enter the code there is a Smartphone App available which once paired to your Autowatch Ghost uses encrypted Bluetooth to deactivate the Immobiliser as you enter the vehicle, leaving you free to start the engine and drive away. Of course should your phone not be present or if the battery is flat you can easily revert to entering your pin manually. Something many owners choose to do is to also install a tracking system to the Ford Focus RS at the same time as the Autowatch Ghost. This means in the event of Car-Jacking the Ghost will activate on the ignition going off, leaving it stationary and unable to start, and with the tracking system reporting the vehicles location at all times catching up with it and getting it back will be a very quick, painless and reliable process. This also covers the scenario of the vehicle been towed away, the tracker will trigger via its movement sensor and alert you to the theft.